Home-Reading will be a regular responsibility for all C2 students. It is extremely important that children read daily at home as well as at school. program in Term 2 after NAPLAN. library to read and record in their Home Reading log book. 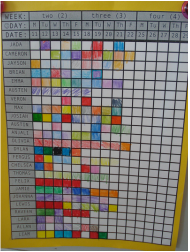 motivator for students to complete their Home-Reading. home responsibility I will not be chasing it up.